Life brings countless trials. For many parents a prominent trial is the raising of a particularly sensitive, intense or strong-willed child who struggles more in life than other kids. Some of these parents grow increasingly discouraged by the challenge. But those who struggle well learn to view that challenging child as the blessing in disguise that God can use to transform both parent and child. How would seeing your challenging child in this way change things for you? One parent told me what she said to her very strong-willed child when processing a difficult interaction, “Your intensity is a wonderful gift. You demanded that we become better parents, and because of that our whole family has been blessed.” This mom and dad are now regularly mentoring others, built on their foundation of coming to know God’s grace and love in deeper ways. This is not an isolated story. It’s the story of our family too. In my shiny “pre-children competence,” I got straight A’s in school, and excelled at all I did. People told me they were intimidated by how I “had it all together.” Ha! Little did they know… I didn’t have it all together – I had my rigidity, perfectionism and anger nicely stashed away, carefully hidden from everyone I knew. In essence, Daniel led the pack as my kids flung wide the “closet door” that hid all my junk, and all the contents came spilling out in a jumbled mess. But that was the beginning of knowing I was loved in spite of all my mess, and that Christ would work with me to clean out the junk and replace it with God’s grace, peace and freedom. 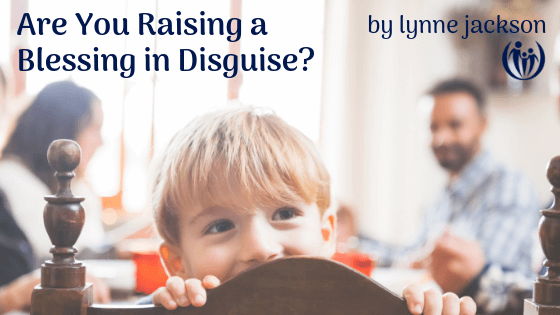 I grew to gradually trust God in my parenting, with a pivotal moment being the prayer, “Lord, I believe that you are going to use our challenges for Your good purposes.” That perspective felt much more peaceful, even though our immediate circumstances didn’t change quickly. And indeed, God has used it! Both to free me from much of that soul-eating rigidity and perfectionism, and to spread help and blessing to other struggling parents as Jim and I launched Connected Families. Years later, when Daniel was Connected Families’ first website developer, he took his turn introducing himself to a new employee at a staff meeting, “I’m Daniel Schulz-Jackson, and I’m the reason Connected Families exists.” We all laughed, but there was a lot of truth to that. This is not a fluffy, “God’s goal is to make everything easy and cushy for us”, kind of verse. What are some of the positive things you have experienced as the result of raising a challenging child? How is your heart being transformed through this experience? How might God use you to encourage another struggling parent? When parents come to us for coaching determined to fix their child’s behavior, they soon realize that transformation starts with them. As they bring their discouragement, anger, and anxiety to the Lord, and experience His limitless mercy and love, they are changed. 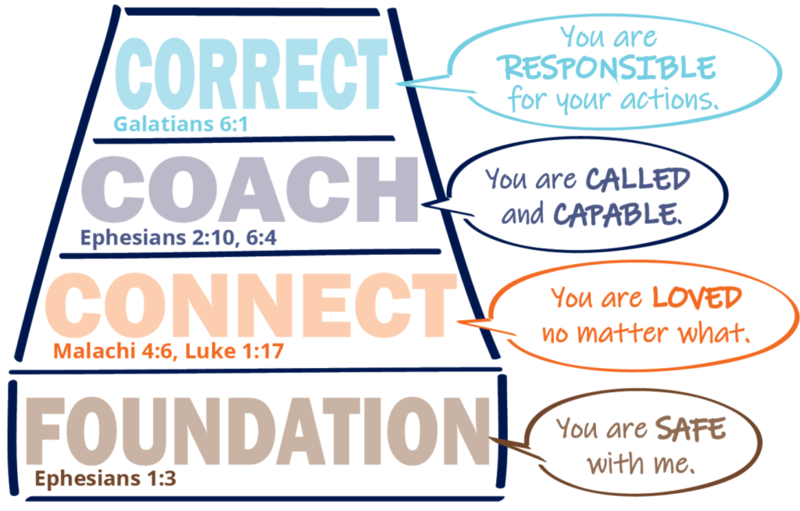 We celebrate when we see parents shift from a goal of behavior modification to one of heart transformation for both parent and child. Be encouraged as you parent your children, especially the child who struggles the most. 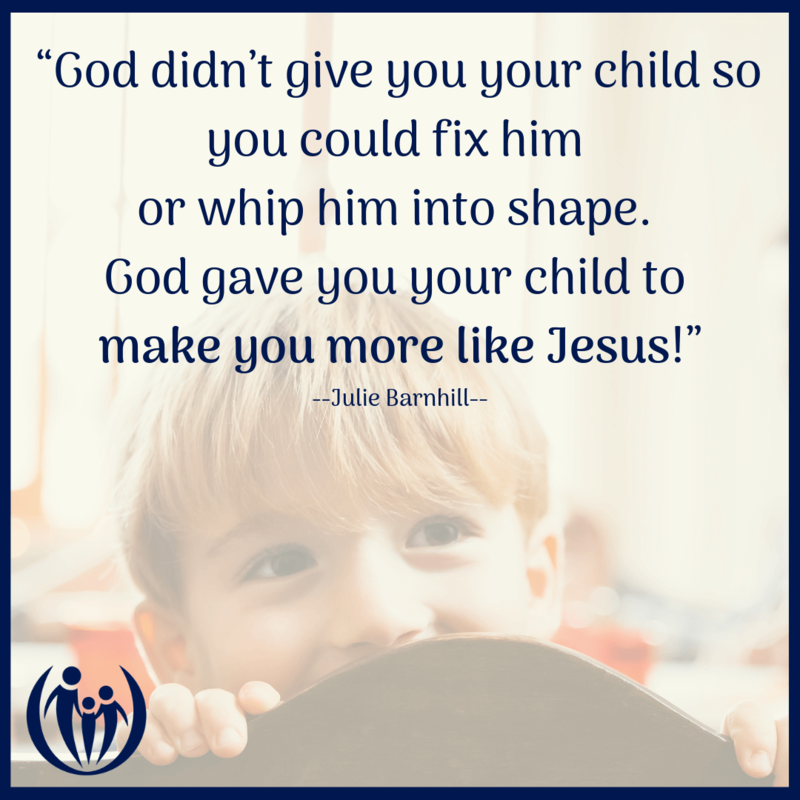 God is working to transform you through your kids in a wonderful way! ← Who Has Time for This?